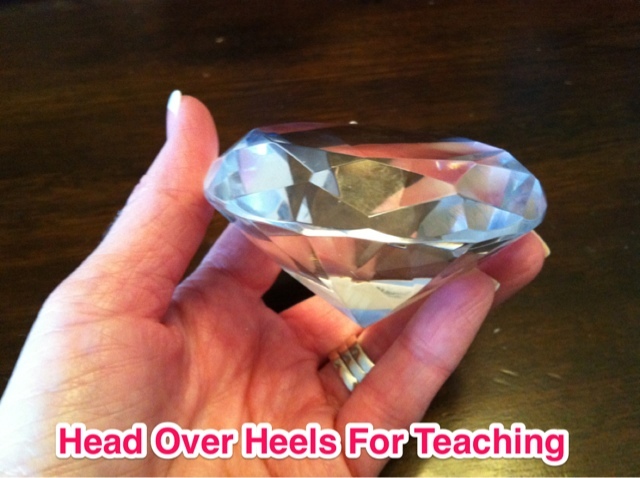 Head Over Heels For Teaching: Workshop Wednesday: Motivation to Write! I found these "gems" at Ross and knew I could do something with them! 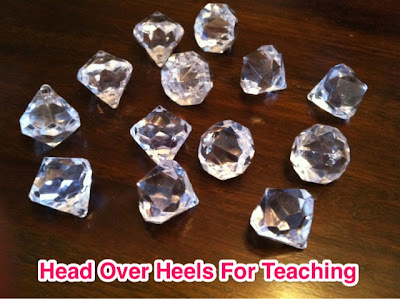 I had them sitting on my desk for a while (spiking curiosity of course) until one day I asked who wanted to be in my Diamond Writing Club. Of course all hands shot up! I had them write one detailed main idea and if it contained several creativity skills (diamond writing), then they could be part of my club! They were so excited and couldn't wait to conference with me to see if they were the proud owner of one of these jewels! I hung all the diamond writing on a bulletin board (sorry, no picture) for everyone to see GREAT writing examples. 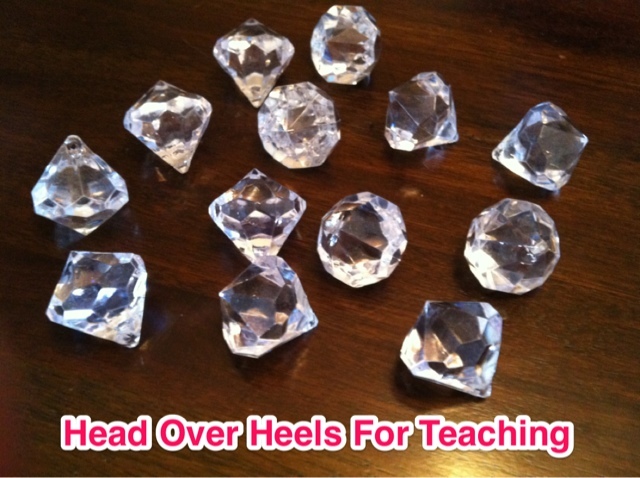 My students keep these jewels in their desks and take them out everyday during writing to help motivate them to be diamond writers! Now, because my favorite color is sparkle and I'm the President of the club, this is MY diamond!!! 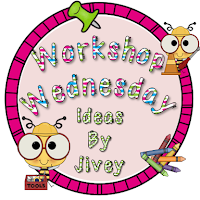 Go check out Jivey's Workshop Wednesday for other great ideas from great teachers to motivate students to write! Speaking of motivation, don't forget to start thinking about how you motivated your students this week or any week to link up on Saturday! It can be anything! A lesson that got them excited, a special book you read, book choices, behaving for a substitute...anything that motivated you or your students! Hope to see you Saturday! LOL! Love this. I must find some diamonds! What a FABULOUS idea! I must find some of those diamonds! Question: Do your boys find this motivating too? I can totally see the boys loving this too:) What a wonderful idea!! This is one of the reasons I LOVE 4th graders. They love this stuff. Hahaha because my favorite color is sparkle! Love it!